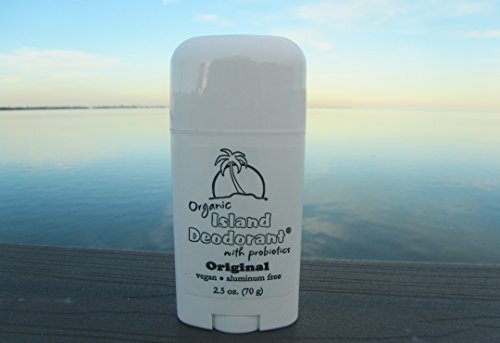 1 Stick Deodorant 2.5 ounces of handcrafted probiotic deodorant in a white polypropylene plastic (BPA-free) twist up deodorant container. 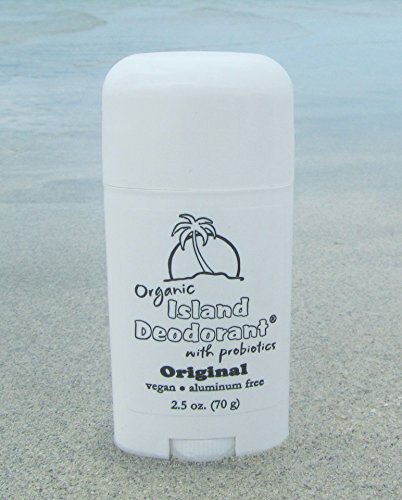 Organic Deodorant that Actually Works! 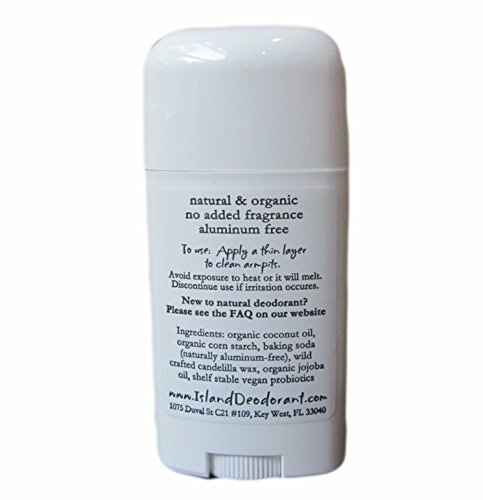 Aluminum-free baking soda and organic corn starch combine to fight odor. Coconut oil and jojoba oil nourish your skin, so you can keep odor away while treating your armpits with care! 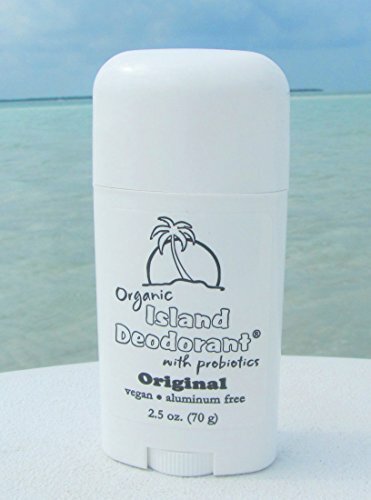 Island Deodorant® is made from completely natural and organic ingredients, so you can use it as often as needed without worrying about toxins! Most people only need to use one or two thin swipes for up to 24 hour protection (some of our users report no odor for as long as 48 hours!) so a stick of probiotic deodorant will last most people at least 2-3 months, or longer! If it doesn't work for you, or if you ever experience a reaction to it, just contact me for a refund. Ingredients: Organic Coconut Oil, Organic Corn Starch, Baking Soda (naturally aluminum-free), Wild Crafted Candelilla Wax, Organic Jojoba Oil, Shelf Stable Vegan Probiotics. Amazing deodorant and amazing customer service are my passions! If you have any questions or concerns or are not satisfied please contact us via Amazon or our website and we will be happy to help you. -The coconut oil has a low melting point, so deodorants will soften in warm temperatures and harden in cooler temperatures, this is normal. If it seems mushy upon application try keeping it somewhere cooler, if it seems sticky upon application hold it against your skin for a few moments to warm it up and consider keeping it somewhere a little warmer. -If you are switching from conventional antiperspirant, please know that your armpits are likely to detox when you make the switch to natural deodorant. This detox process is different for everyone, but understand that you might experience extreme stinky-ness or staining while you transition to aluminum-free deodorant. 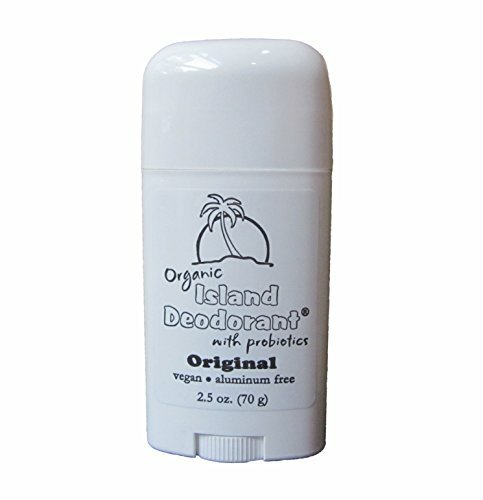 If you have any questions about this product by Island Deodorant, contact us by completing and submitting the form below. If you are looking for a specif part number, please include it with your message.